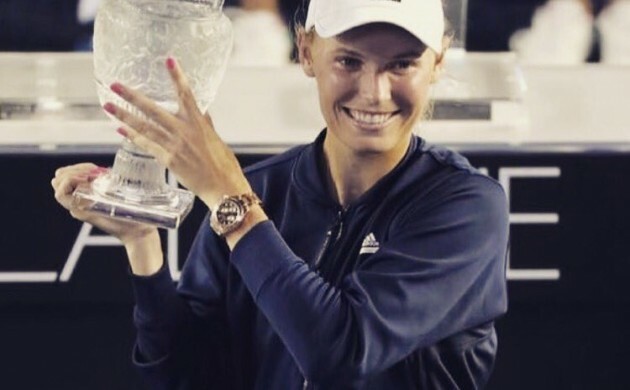 With the tennis season drawing to a close, Denmark’s top tennis player Caroline Wozniacki looks to be back to her old form following another WTA triumph, this time at the Hong Kong Open on Sunday. The fifth-seeded 26-year-old beat Kristina Mladenovic of France 6-1, 6-7, 6-2 in the final to win her second WTA tournament in three weeks following her triumph at the Pan Pacific Open in Tokyo last month. Wozniacki’s 25th career WTA title propels her into the top 20 for the first time since January. Just a month ago she was ranked 74 in the world. Next up for the Dane is the WTA tourney in Luxembourg, where she is seeded second. READ MORE: Woz wins again, but will her reign as the darling of Danish tennis be torpedoed? Denmark has a new European champion in boxing following Dennis Ceylan’s split-decision victory over British fighter Ryan Welsh in Frederikshavn on Saturday night. Despite one of the judges scoring the match 117-112 in Walsh’s favour, the other two judges had Ceylan to win. The Aarhus-based featherweight fighter remains undefeated for his 19 professional career bouts and joins a strong list of Danish European champions that includes Tom Bogs, Hans Henrik Palm, Gert Bo Jacobsen, Johnny Bredal, Mads Larsen and Rudy Markussen. Tis the season to jolly well get your Formula One contract in order for next year and Danish driver Kevin Magnussen is no exception. With the news that Nico Hulkenberg will join Renault next season from Force India, there is only one seat left between the Dane and current British team-mate Joylon Palmer. Renault’s option to extend Magnussen’s contract expired on October 14, leaving Magnussen to pursue other options. According to nonF1.com, Magnussen could be going in the opposite direction of Hulkenberg as he is believed to be in talks with Force India. Nicklas Bendtner seems poised for a spell on the sidelines after sustaining an ankle injury in Nottingham Forest’s 3-1 win over Birmingham City on Friday night. The big Dane had assisted Forest’s first goal before having to go off early in the second half. He was administered oxygen following a hefty challenge from behind. The good news is that it has been confirmed that his ankle is not broken, but it has yet to be ascertained whether there is any damage to his ligaments. Denmark has won a hat-trick of medals at the 2016 UCI Road World Championships held in Doha, Qatar over the last few days. Mikkel Bjerg started off by finishing second in the men’s under-23 time trial, before Jakob Egholm secured gold in the men’s junior race. Amalie Dideriksen, just 20 herself, then capped a solid championships by taking gold in the women’s elite road race. Woz wins again, but will her reign as the darling of Danish tennis be torpedoed?